Black toned cord ends, 8x3mm. These have a small spike to ensure a strong hold to the cord. Sold in bags of approx. 100pcs. 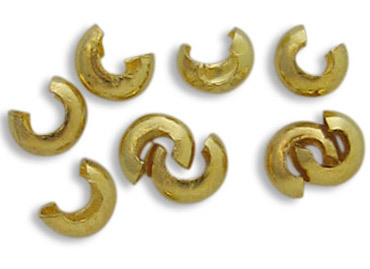 Packet of 100pcs, Bright Gold Toned 3mm Crimp Cover. Covers crimps to make them look like a small bead. 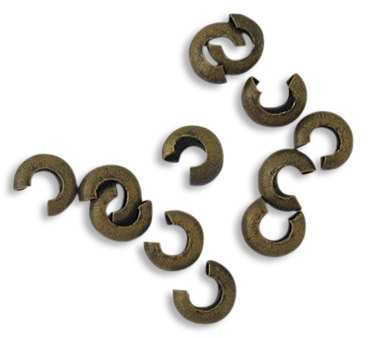 Bronze Crimp Beads 2mm. Sold per bag of 100pcs. Packet of 100pcs, Bronze Toned 4mm Crimp Cover. Covers crimps to make them look like a small bead. 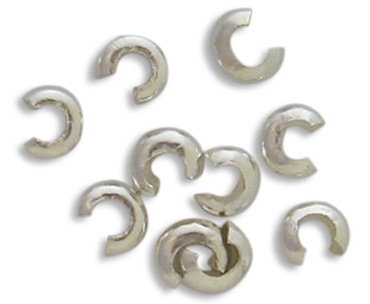 Bronze toned cord ends, 8x3mm. These have a small spike to ensure a strong hold to the cord. Sold in bags of approx. 100pcs. Bag of approximately 100 'w' crimps. 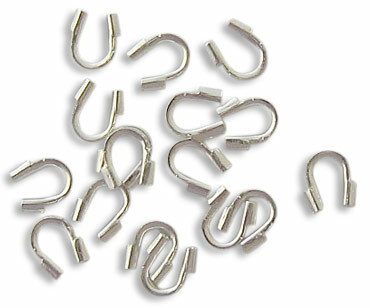 Used for joining to linking rings together (see example photo). Perfect way to finish a necklace/bracelet before adding a clasp. Approx 100pcs per bag. Gold toned cord ends, 8x3mm. These have a small spike to ensure a strong hold to the cord. Sold in bags of approx. 100pcs.